I’ll be teaching the Three-Part Design Class at The Theodore Payne Foundation starting this Friday, September 12. Friday, September 12, 11:30 a.m. – 3:30 p.m.
P.S – Not all California native plants are desert plants – this is only one of many sections of Theodore Payne’s sales yard. Dry Shade and Riparian (riverbank, or moist areas) are two of my favorites. I was at Hunter’s Nursery as usual for the 12th Annual Big Bear Xeriscape Tour, providing information about the many native plants for sale at Hunter’s. 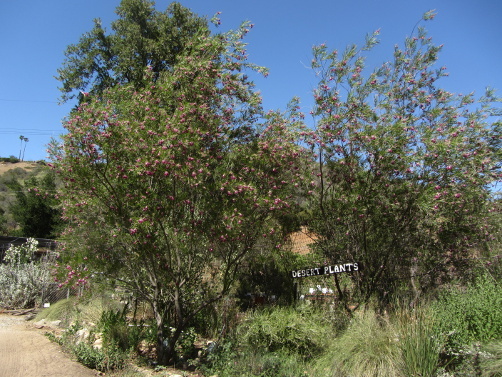 Hunter’s still has some natives for sale, including lots of Arctostaphylos patula – a high-elevation Manzanita, Rabbitbrush, Yarrow and other great plants. The tour was created by the Sierra Club Big Bear Group, and co-sponsored by the Big Bear DWP. “Xeriscape” basically means drought-tolerant in Greek. 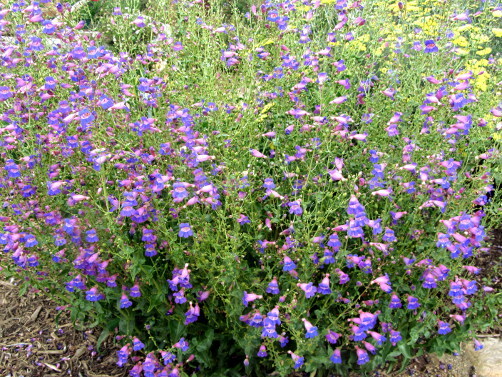 It’s an easy word to make fun of – think zero – so I like to say drought-tolerant instead. But it was originally developed by a high-elevation water district in Denver, so it makes sense in Big Bear. 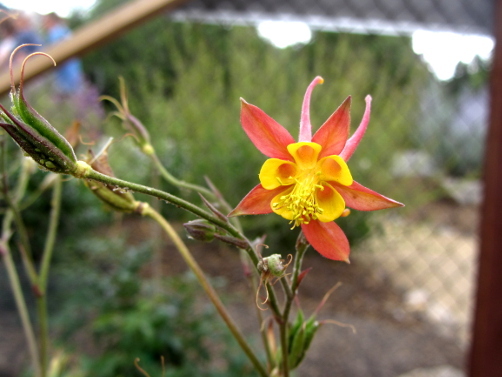 The BBDWP created a beautiful Xeriscape Demonstration Garden, and these photos are from the garden. Everything was in bloom and gorgeous, and kudos to the gardeners!